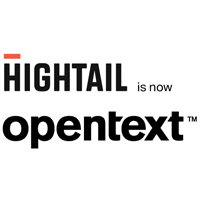 OpenText (formerly known as Hightail) is a cloud-based platform that allows users to share and manage files. It also has content approval, feedback features, and more. In this article, we cover user reviews and pricing. Ready to try OpenText? Contact their support team for more information. Users who gave OpenText a positive review said that they like that it enables them to send large files easily and quickly. Most users also commended the software’s very intuitive user interface. Users who gave OpenText a negative review complained that the platform is undependable since it doesn’t work properly at times. They added that OpenText’s support team is not helpful and doesn’t provide quick responses to address their users’ needs. One user who gave OpenText a negative review on Capterra commented that he finds its platform unreliable and overcomplicated. He also mentioned that OpenText still continued to charge his card for his subscription, even after having received his account cancelation confirmation from its support team. OpenText has a free plan and two paid subscription options: Pro ($15/month) and Business (customized pricing). The main differences between the plans are the amount of storage space and file size send limit. Their Lite and Pro plans are mainly for file sharing, while their Business plan has additional collaboration and project management capabilities. *Business plans are billed annually. Pro plan users who subscribe annually get a 20% discount off their invoice. Ready to try out OpenText? Contact their support team for more information. Can users upgrade their existing accounts? Yes. 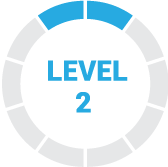 Users can upgrade from a Lite to Pro account through the OpenText website. However, if users prefer to upgrade to a Business plan, they have to contact OpenText’s sales team. Can users customize OpenText’s Business plan’s inclusions according to their needs? Yes. Interested users may contact OpenText’s sales team to discuss about customizing their Business plans. Not sure if OpenText is the right fit for you? Read our reviews of all document management software providers or check out one of these three OpenText competitors. Hightail makes it easy for all of our employees to share large assets beyond our network. Any user, technically inclined or otherwise, can quickly and easily upload files and share them with contacts right from their browser. No client software, no credential or permissions issues, no protocol problems, just drag and drop. workflow features, so they add some complexity to the interface without adding value for our team. Hightail is blocked by some corporate clients. We use this all the time to send large graphics files between freelancers. It’s a great program and very easy to use. Nothing really about the program, but i would love it if there was an incentive for businesses to subscribe. Would love to convince my company to sign up for a membership. We use this software on our desktops at my company. The software has regular, continuous updates and the original versions we downloaded on our desktops are incompatible after updating. We just end up using the website, which is fine, but I would like to be able to use it directly from the program and not the internet. First of all I want to say that it is very useful software to send large files. The previous edition of Hightail was not as flexible and intuitive as new updated, which allow drug and drop files directly from folder. I would say that is the best software today to share large files. As I mention before the previous edition of Hightail was not as flexible and intuitive as new one… This is really good! The software and service work pretty well. No concern. I would recommend this soft to use. The ease of use when using the website, adding files and sending them to multiple parties that don’t necessarily need a hightail login to access the materials being sent. The size of the files allowed to send could be larger. There are times that we’ve needed to send board decks on PowerPoint for board meetings with pictures and graphics that were too big to send. I would have liked to know that tracking the files was not an option as far as who had received/used the links sent to them. It would have been beneficial to determine who was actually using what we were sending out. Hightail makes sharing files online easy. I’ve used this at work for photo and video sharing and have nothing to complain about! You can send it via a link, or they can get the link in their email directly from hightail. The service does exactly what you would hope! I have no complaints about hightail! 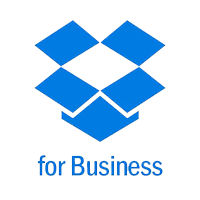 They provide a simple service and they do it well– they make it easy to send large files online and share them. I feel like I knew everything I needed. Filesharing services are not that complex in what they do. They said they would help us share files, and they do. There were no hidden features or surprises.